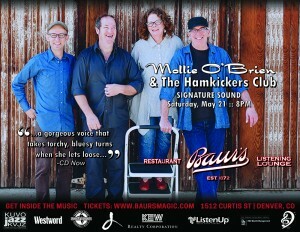 Join us at Baur’s to kick start your summer with Mollie O’Brien & The Hamkickers Club. Their signature blend of contemporary and traditional folk, funk dance music, and powerhouse gospel will have you awed and leave you wanting more. 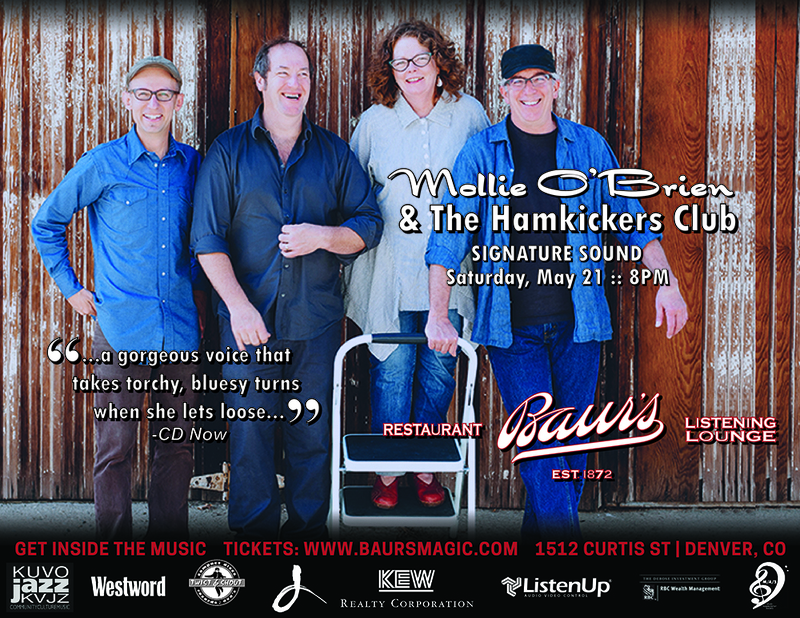 Music Appreciation Society is extremely pleased that Mollie and her band have made a date with us out of their busy international touring schedule to entertain the Denver audience exclusively at Baur’s. Mollie ﬁrst became known as a singer’s singer when she released 3 critically acclaimed recordings for Sugar Hill Records with her brother, Tim O’Brien. As well, she’s released 5 solo recordings, 3 duo recordings with husband Rich Moore and was a Grammy winner for her part on the cd, True Life Blues – The Songs of Bill Monroe (Sugar Hill Records – 1996). Rich Moore is a powerhouse guitarist not only able to keep up with O’Brien’s musical twists and turns but as well is known to have some of the funniest running onstage commentary. 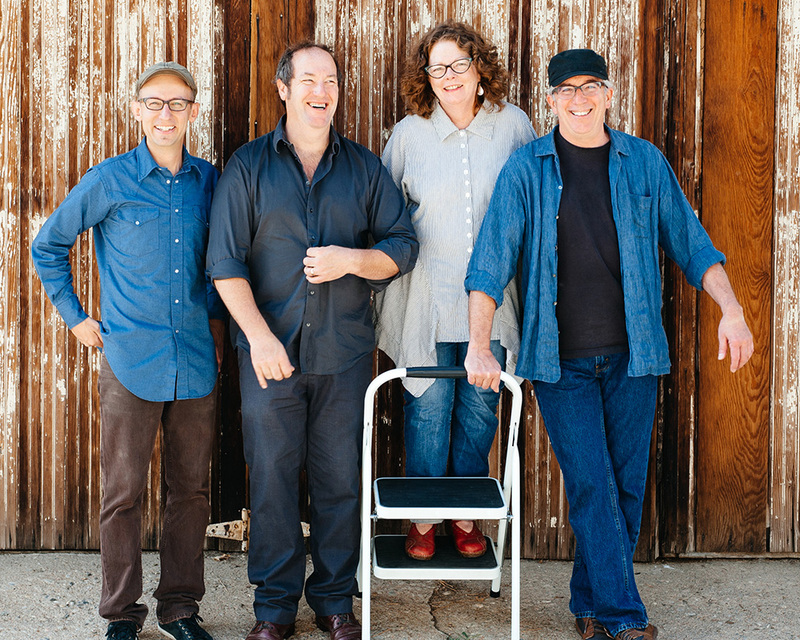 Joining Mollie for this show will be their longtime producer and bassist, Eric Thorin and esteemed steel guitarist, Glenn Taylor and husband guitarist, Rich Moore. Thorin and Taylor are featured on Mollie and Rich’s latest release, the critically acclaimed Love Runner(Remington Road Records – 2014) and their musical mind melded to create a stunning bedrock for the rest of the band. 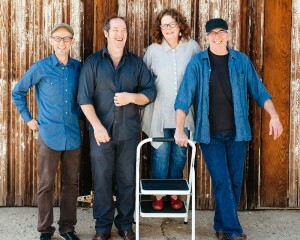 Whether reeling from breathtaking arrangements of gorgeous ballads or dancing to funky numbers, Music Appreciation Society invites you, your family, and friends to come to Baur’s Salon for this special Saturday night acoustic performance to experience the signature sound of Mollie O’Brien & The Hamkickers Club.